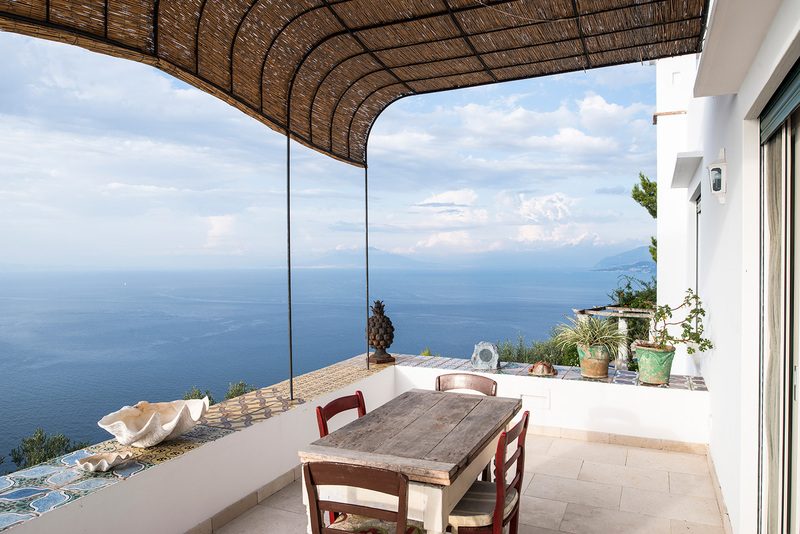 Sea views are on offer at this Capri villa by architect Francesco Della Femina, which sits on the slopes of Mount Solaro looking out towards Vesuvius. 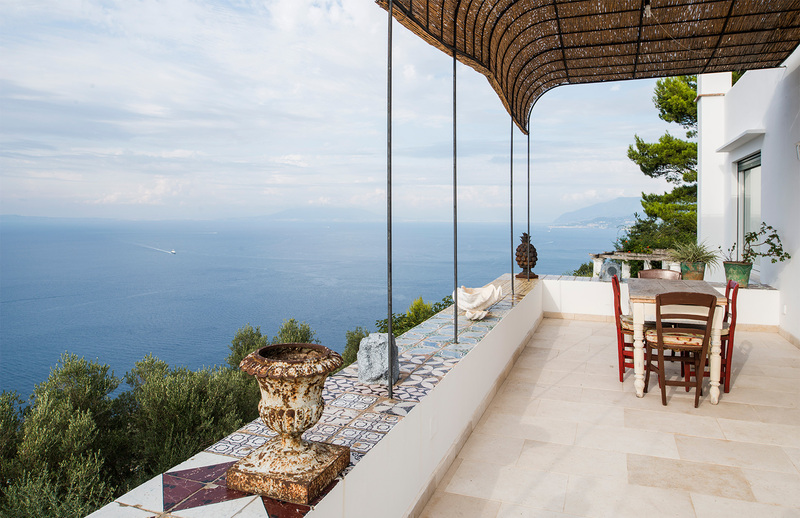 Villa Trasillo is situated in the town of Anacapri and follows the architectural vernacular of Capri’s whitewashed homes. Boxy volumes have been configured so they frame sea vistas across the Italian property. The five-bedroom island home is on the market via Italy Sotheby’s International with price on application. Rooms have vaulted ceilings, huge fireplaces. 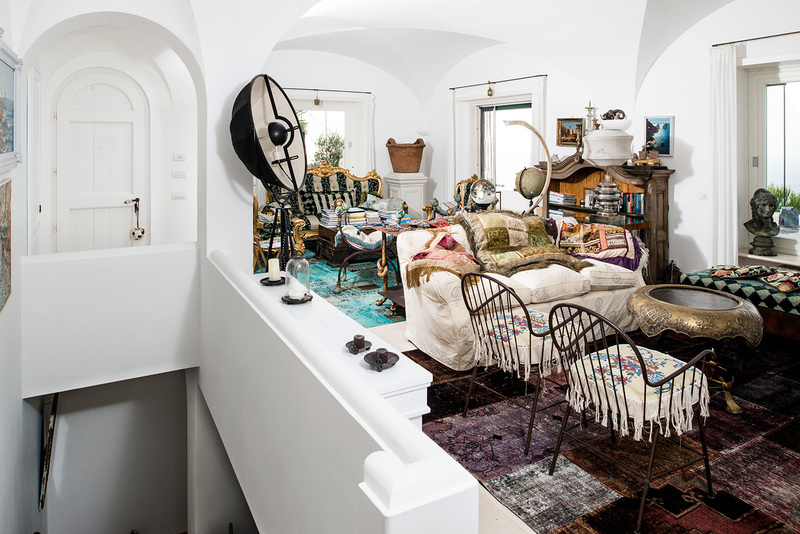 and maximalist layerings from Della Femina, offset by crisp white walls and doors. Historic tiles, found during construction work, have also been up-cycled to make chairs and tables. 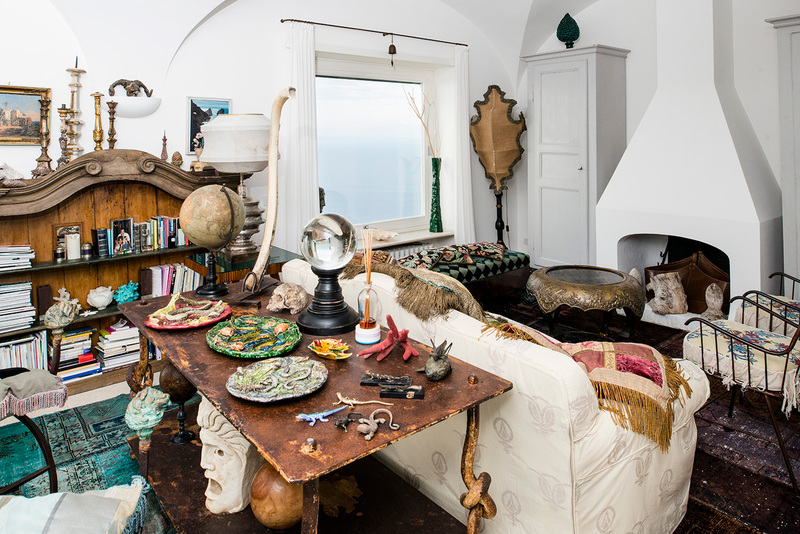 Villa Trasillo has panoramic views over Ischia, Procida, Naples, Vesuvius and is close to the Damecuta pine forest and Blue Grotto.